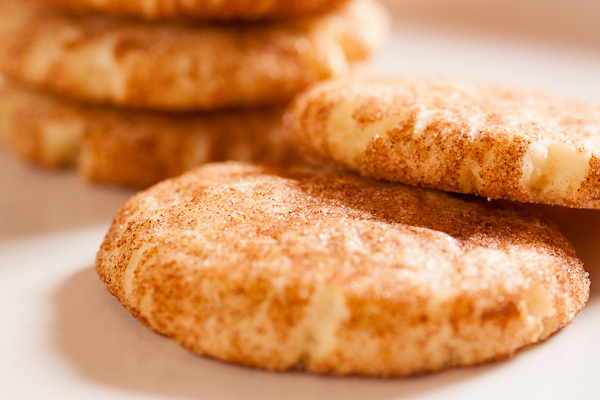 Old-Fashioned Snickerdoodles | wanna come with? 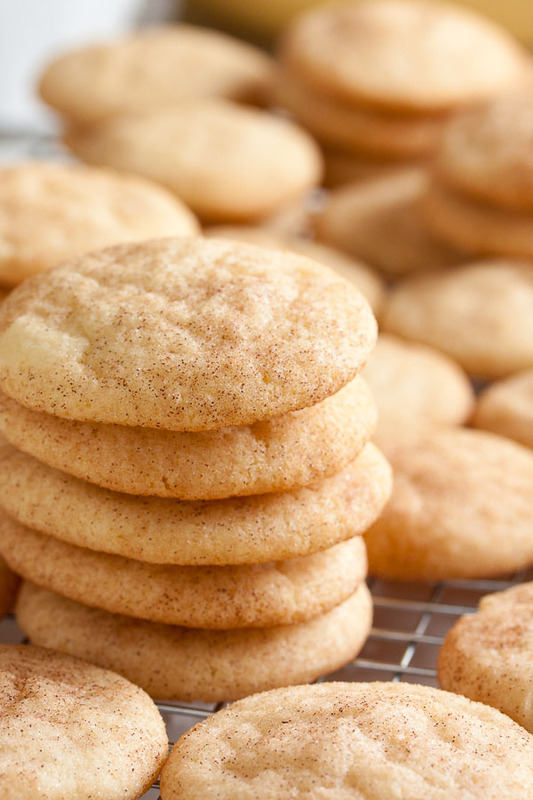 For a classic cookie, it’s surprising that the only snickerdoodles I’ve ever eaten are the ones I’ve made myself. Are they just not a thing up here in Canada? 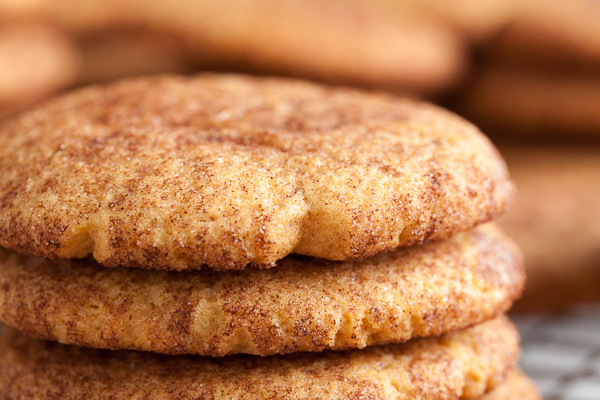 I’ve made a few different recipes over the years – what I thought was a classic snickerdoodle, snickerdoodles with molasses and nutmeg added, and even an oatmeal snickerdoodle. 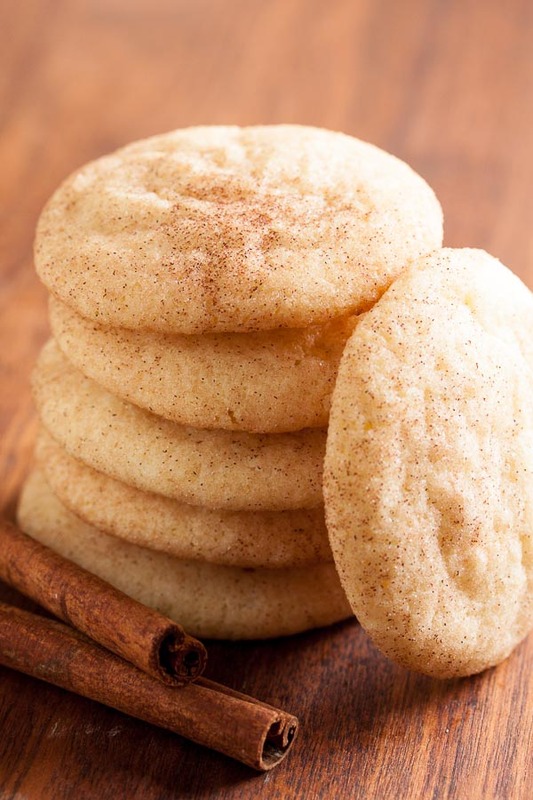 So what makes this particular cookie worthy of the name “old-fashioned snickerdoodle”? 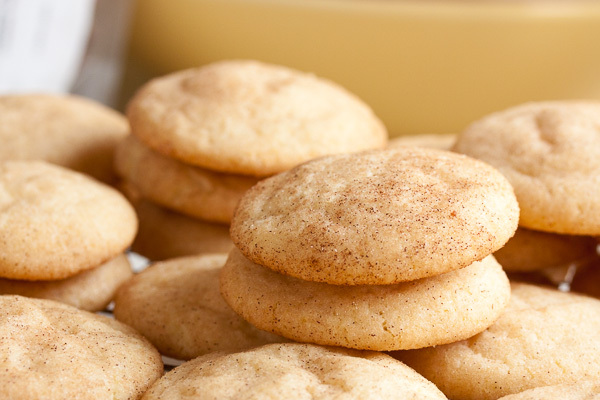 While all the others were certainly delicious, all were made with baking powder, rather than the combination of baking soda and cream of tartar that is what apparently makes a proper snickerdoodle cookie. I would have thought they’d behave basically the same way, as baking powder is essentially baking soda with an acid added. But upon further googling and reading, apparently the cream of tartar adds a certain tanginess to these cookies that’s missing when you just use baking powder. I’ll admit, I do detect a tangy flavour there. Is it pronounced enough to make it worthwhile? I honestly couldn’t say. I’d have to try one of each to compare, so I think one of these weeks I’ll need to double up on snickerdoodle recipes and do a taste test. These cookies even look different than the previous ones – they spread our a lot easier and don’t have that same cracked edge. They’re also much paler in colour. I’ll say again, all of the snickerdoodles I’ve made have been great and really popular, but I’m going to favourite this one. 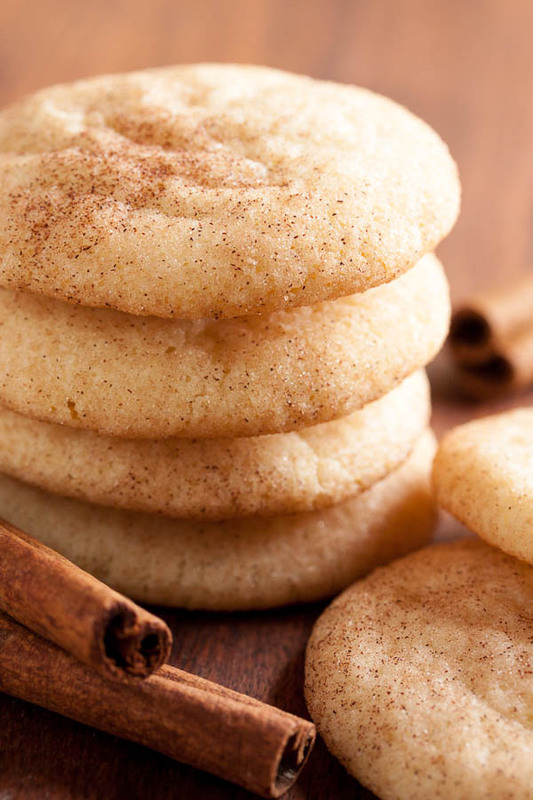 Honestly, this is a really good cookie – delicately soft and chewy with just the perfect amount of cinnamon flavour. Adapted from The Sweet Melissa Baking Book by Melissa Murphy. The original recipe says it will make 3 dozen cookies - I got 56 cookies rolled slightly smaller than 1" diameter. In the bowl of a stand mixer fitted with the paddle attachment, beat the butter and sugar together on medium speed until light and fluffy, about 3 or 4 minutes. Scrape down the sides of the bowl and add the eggs, one at a time, beating well after each. Turn the mixer down to low and add the dry ingredients, mixing until just barely combined. The dough will be too sticky to work with at this point – cover the bowl with plastic wrap and refrigerate for about an hour. Combine the remaining 1/4 cup of sugar and cinnamon in a small bowl. Form the dough into small balls and roll them in the cinnamon-sugar mixture until completely coated. 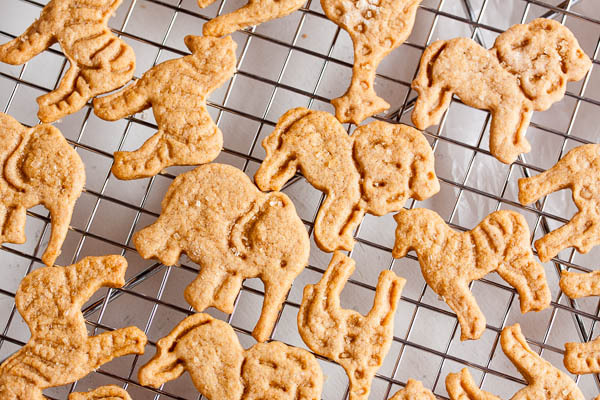 Place them on your baking sheet, about 2" apart to allow for spreading. Press the balls down slightly with the palm of your hand. Bake for about 12-14 minutes, until the bottoms are lightly golden, rotating the pan halfway through the baking time. Allow to cool on a wire rack for a few minutes before removing the cookies from the pan and allowing them to cool completely.